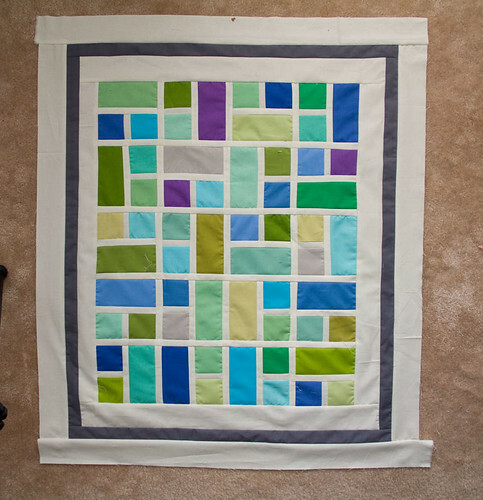 I know, yet another blue and green quilt, right? This is a *little* different...there's purple! Hah. Really though, this is the first quilt top I made for the Robert Kaufman Kona Charm Pack Challenge. 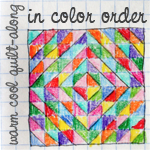 I picked out the cooler colors from the Brights palette for this, and am working on using the warm colors for a second quilt. Our guild is donating all the quilts made from the charm packs to a local NICU hospital for the preemie babies.